There are numerous challenges facing international schools when it comes to safeguarding, all of which require strong safeguarding practices to prevent them becoming more serious problems. While the nature of international education means the frequency and types of safeguarding concerns may be very different to those of other schools, we need to be vigilant to ensure the quality of record-keeping for safeguarding is an accurate reflection of what is really happening in the school and at home. Here are six challenges specific to international schools and some suggestions on how a school may overcome them. International schools see more staff transition than other schools, which generates more handover when it comes to safeguarding. As staff get to know pupils, they learn a huge amount about their personal history and circumstances. Those ‘niggles’ picked up by staff that seem like reasonably small concerns can amount to much more if the dots between them are connected. However, when that member of staff moves on and a new one starts, it becomes much harder to reconnect those dots. All concerns, no matter how small, must be recorded in a way that is easy to collate and review by the safeguarding team. When a new member of staff starts, the designated safeguarding lead must communicate any relevant history with them. The key word is ‘relevant’ – anything that can help pick up new concerns if they appear, without compromising the privacy of that history. To some people, a parent disciplining their child physically is ‘a strong telling off’, to others, it’s abuse. While this example is blunt, it sets the tone for a huge range of differences in how staff from across the world see things differently to parents at home. Children being told to perform different chores at home, varying customs and unusual punishments are just the tip of the iceberg when it comes to cultural differences that raise questions about safeguarding. All school staff must be aware of local family lifestyles so that incidents that should raise more than an eyebrow are dealt with accordingly. A safe rule here is to record everything that could potentially be connected to pastoral care within the local guidelines set out in your school’s child protection policy. International schools can often be spread across either one very large site, or several smaller ones in a local area. This creates communication challenges when a member of staff has a concern that they need to share with a specific person at the other side of the school. Folded pieces of paper hurried to someone in the corridor, and notes/forms left face down on a desk get the basic message to that person eventually but how do you know when and if they have read it? And if they need to get back to you for next steps or a clarification, do they start the same process over again? Although emails and shared spreadsheets can help, emails don’t offer a lot of privacy in a busy office or when accessed on a personal phone, and spreadsheets are difficult to trace and maintain. Recently, some electronic safeguarding monitoring tools offer solutions with communication and should be explored properly by schools as a legitimate and safe method of recording and communicating sensitive information. Similar to culture clashes, what may seem to be unlawful to staff in some international schools may locally be considered above board. Where you feel there is a difference between the law and the school’s responsibility to safeguard pupils, you need to do all that you can to build a framework of evidence in school and offer suitable support to those who need it. Depending on where in the world you are, there are varying degrees of support available from different agencies. However, it can’t be taken as a given that a larger number of other agencies (educational psychologists, speech therapists, counsellors etc.) mean a more solid safeguarding approach. Often, more involvement can mean more gaps in communication as not all details are passed on. It needs to be made paramount that every incidence of information is recorded somewhere accessible by the school’s safeguarding lead so the dots can be connected and the child’s holistic situation reviewed. Due to the nature of international/independent schooling, there sometimes isn’t quite the same quantity or nature of concerns faced by mainstream schools in any country. The challenge then presents itself: if you have few safeguarding concerns, how can you prove that is an accurate reflection of your school cohort, and not a reflection of poor safeguarding record-keeping? You need to ensure that your observation of potential issues and record-keeping itself is completely solid. All staff must know your recording procedures, and they must be reviewed regularly. A recording or monitoring system featuring a filing cabinet on one side of the school, another in the corner of a disused office and an online email folder creates uncertainty about the strength and precision of the system. While this list isn’t exhaustive, these are a few of the big issues that crop up in safeguarding for international schools. 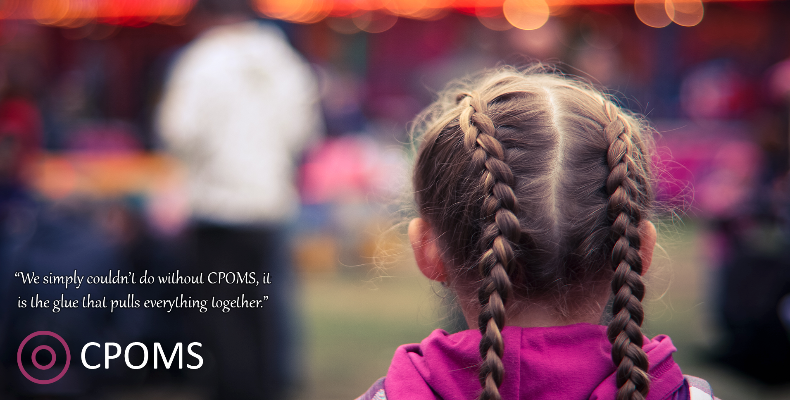 If you’d like to find out more about the software mentioned in this article, please visit www.cpoms.co.uk or email chris.forrest@cpoms.co.uk to find out more. Are you running a child protection gauntlet?